23 May 2017Thanks to Duncan Dyker! At our AGM on Monday, 22nd May 2017, amongst normal business matters we also said thanks and 'cheerio' to our Leader for the past 15 years, Duncan Dyker! Duncan has led the Inverness Fiddlers Society ably during this time, and overseen many successful Rallies, concerts and events. 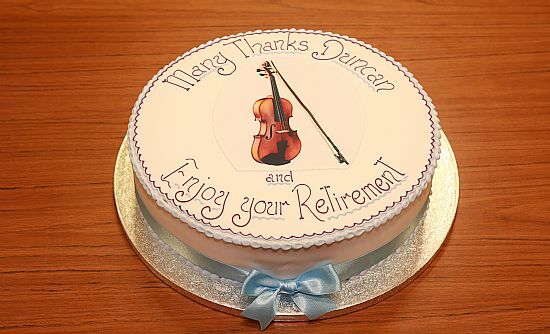 Inverness Fiddlers Society members past and present would like to thank Duncan for his valued contribution and guidance during his term as Leader and look forward to playing with him in amongst them rather than 'up front' in future. The Society also welcomes back our new Leader, Doug Stuart, along with Deputy Leaders Morag Menzies and Murdo Watson; we wish them an enjoyable and fruitful tenure in their roles within the society. 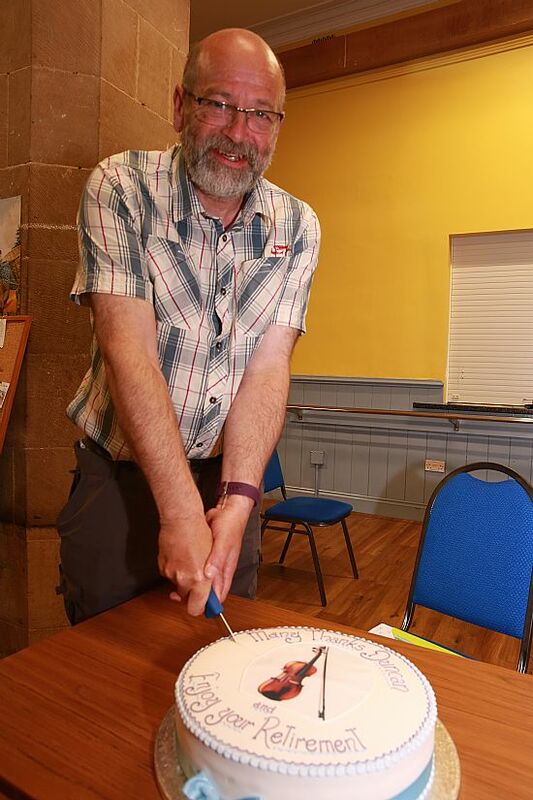 Below you can see Duncan Dyker about to cut and enjoy the cake presented to him by Inverness Fiddlers Society at the 2017 AGM.